class="stores-template-default single single-stores postid-3068 wpb-js-composer js-comp-ver-3.6.12 vc_responsive"
Park Lane Nursery was established in 1991 as a Day Diversion Program for people with a disability, this was part of the Victorian Government de-institutionalisation program which saw facilities, such as Mayday Hills, close across the state. The program aimed to teach participants work and life skills so as to facilitate their re-integration into the wider community. Many things have changed over the years, but one thing has remained constant – the understanding that all people are valuable, all people have something to contribute. Today the nursery employs 25 people across the business – from the production of quality plants, our retail Garden Centre, and in our garden maintenance crew. About half of our workforce has a diagnosed disability.Our team strives to achieve quality production outcomes. They continue to encourage and help each other, and as a result the plants that we produce are of an excellent standard. The gardening/maintenance crew travels the countryside bringing order and greenery to oftentimes neglected sites – sometimes at the mercy of nature and the elements! We value our customers, who continue to support us enthusiastically – from those who visit our retail outlet onsite, to the local Shires, Councils, and Landcare groups. Being nominated and winning the Business Wangaratta Agricultural Business of the Year Award in 2017 was a real highlight and a wonderful acknowledgement that this team delivers the highest quality product and service. Park Lane Nursery is also home to Merriwa Industries Day Programs, this diverse group brings an element of fun and spontaneity to the nursery and we all enjoy the friendship and camaraderie that they foster. At Park Lane we are excited about the roll out of The National Disability Insurance Scheme (NDIS). We believe it will open up many opportunities for people with disabilities in our region, and consequently result in a more diverse and dynamic community. 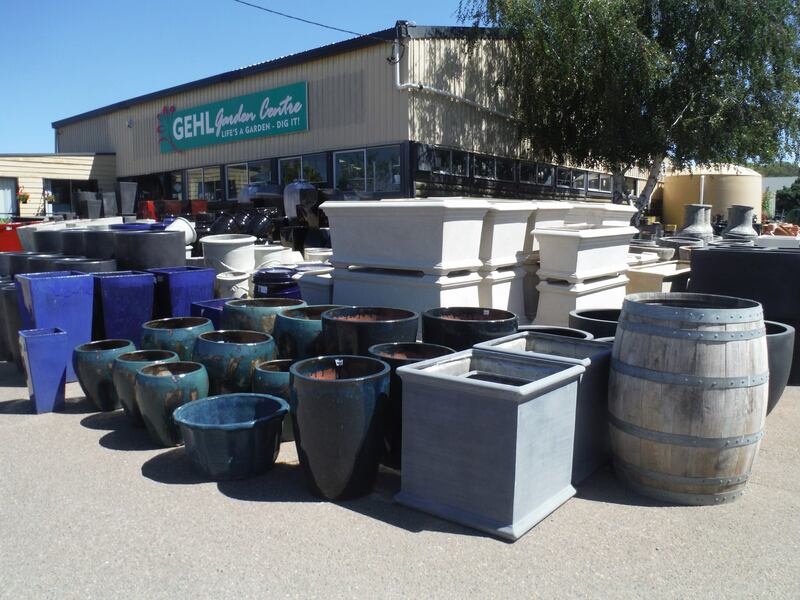 The Gehl Garden Centre is a family owned and operated business that has serviced the Goulburn region for the past 25 years in all areas of horticulture. We have stood the test of time, dealing with droughts, ever changing weather conditions, and economic ups and downs. With the ever changing industry we have diversified to meet all customer needs and demands. We are continually working with the attitude of “There is always room for improvement” in our exciting and challenging industry. The Gehl Garden Centre team have the opportunity and privilege to work together with our customers to educate and direct them to make informed choices for sustainable gardens and life styles. Each team member has their own unique character and attributes to offer with years of hands on experience they have a extensive plant and product knowledge to share. We work as a team and pride ourselves on giving personalised customer service and where advice is not needed we are just as happy to “Brighten your day”. With the know-how, expertise and exceptional service you couldn’t be in any better hands when tackling your next gardening project. Specializing in Cold Climate Plants, Hedges, Windbreaks, Roses, Ornamental & Fruit trees. Life’s a garden – dig it! And don’t forget to interact with us on Facebook! Bonnyrigg Garden Centre stock the largest range of plants, statues, pots, ponds, landscaping items and water features in Sydney. Just come on out and see for yourself. Our dedicated team are always on hand to offer their experience and advice. 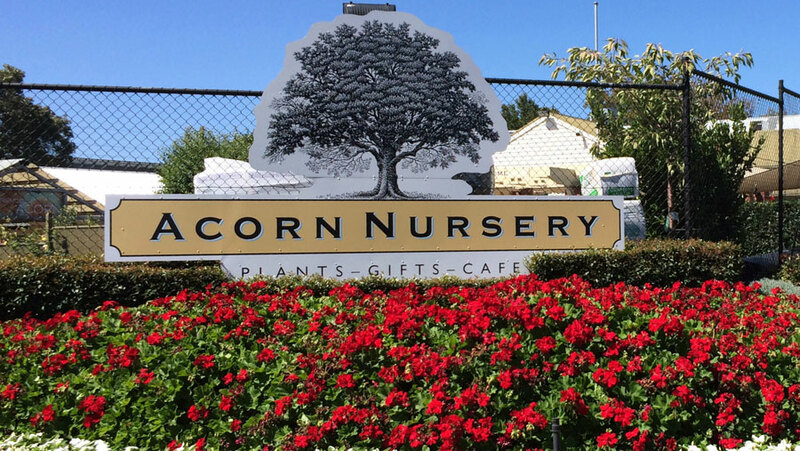 Our garden nursery in Sydney has everything you need for your beautiful garden. If its not garden flowers, outdoor or indoor plants you need, than we have much on offer in landscaping supplies as well. 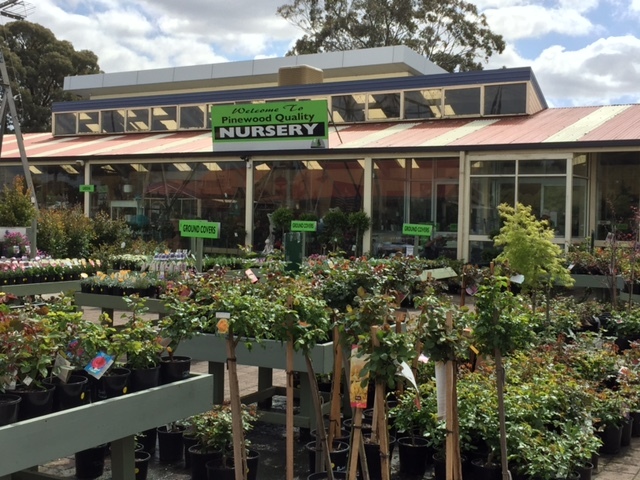 So if your looking for a nursery in Sydney, then a visit to our Bonnyrigg Garden Centre is a must. When it comes to garden supplies and nurseries in Sydney, Bonnyrigg Garden Centre has the garden products and the best value in town. Open 6 days: 7am - 4:30pm. Closed Sundays. We are closed on Good Friday, Easter Sunday, Anzac Day, and from Christmas Day to New Years Day. Open 7 days: 9am - 5pm. Closed Christmas Day, Boxing Day, New Year’s Day and Good Friday. 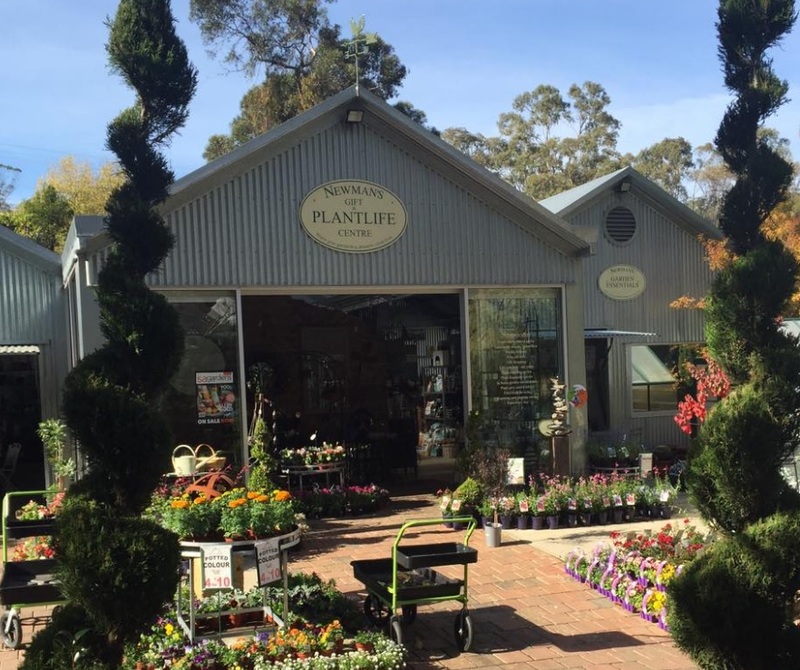 Willow Park Nursery is owned and operated by a Canberra family with a business history in the Canberra region dating back to the 1930’s . At the time Willow Park was a market flower nursery used for growing cut gladioli and daffodils. The original homestead was built in 1932 and still stands in the front grounds among the shade of the established trees and gardens including some of the oldest trees in Canberra today. 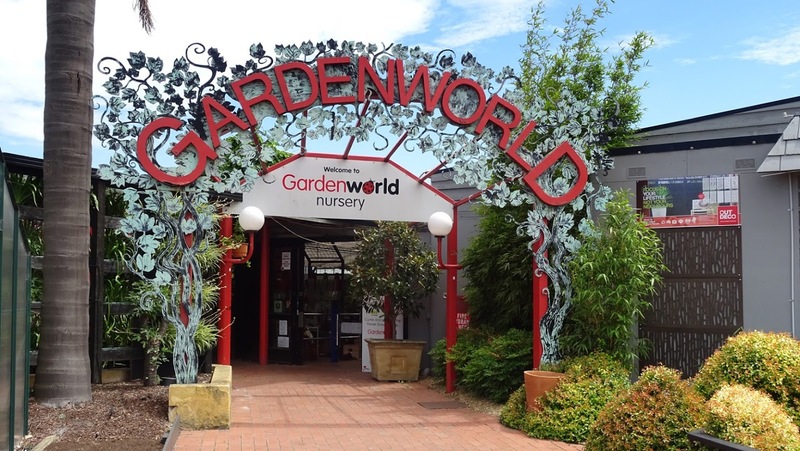 We’re a family run, local garden center servicing Southern Sydney including suburbs like Kogarah, Hurstville and Mortdale, where we are located. We have been supplying quality plants and gardening accessories since 1986, and our service & expertise is second to none. Elsie’s Florist & Gifts is located in Foster in South Gippsland, Victoria with the store proudly being named after Sonia Webber’s grandmother who also was a florist. Elsie is the inspiration for Sonia to become a florist and with the opening of her beautiful store in Foster in 2011, which is attached to our nursery. 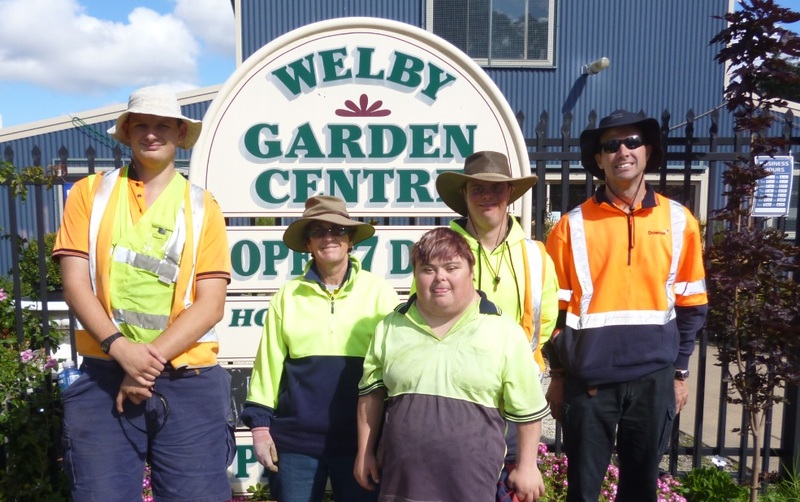 We’re a brand new South Coasts premium Garden centre in Bomaderry,NSW. We have in-house landscape designers, feature trees, herbs, seedlings, natives, shrubs & colourful flowers. We proudly offer the Devonport coast, in Tasmania, the largest range of green-life including advanced ornamental trees, fruit trees, natives and an extensive selection of indoor plants and pots. Our knowledgeable staff are happy to help with all of your garden needs, from plants to furniture and gifts, we have it all. We service the north-western Riverina region of NSW, commonly known as the food-bowl of Australia, and we’re very focused on sustainable organic processes and products to enrich our lives. Our brand strives to be clean green and organic. We do this through the products we stock and simply by promoting a sense of community within our nursery and our town, in general. We encourage customers to return old pots and boxes for reuse. We are passionate about soil health and nutrient uptake in veggies & fruit. Greengecko has an art studio which doubles as a small function centre. We have wellness workshops, art classes, and kids art classes. We have upmarket outdoor furniture and accessories as well as cheaper garden furniture & accessories, and we also stock a heap of bespoke local art and furniture pieces. Drop by today, you will not be disappointed! A boutique garden centre for the urban gardener. Plants and pots for outdoors and indoors, advice, plant orders, gift plants and home delivery service. The highly acclaimed and strategically located nursery on the Stuart Highway offers weekend hobbyists and the more serious gardeners and professional landscapers an amazing range of plants, seedlings, garden equipment, pottery and advisory services seven days a week. 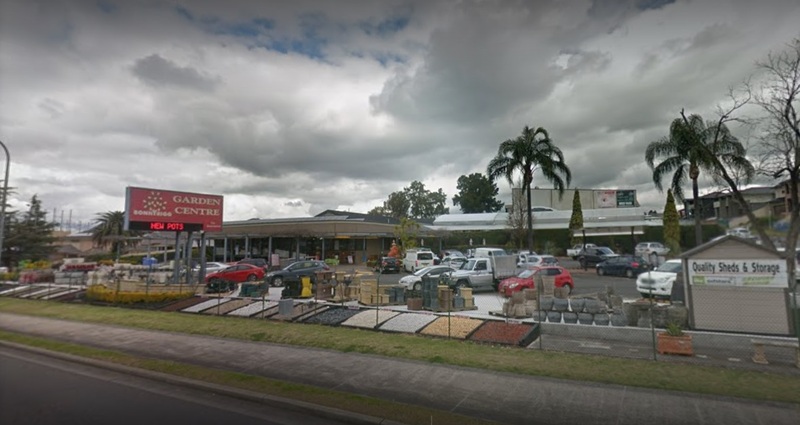 We’re a part of the Four Seasons Garden Centre and Landscaping family, with our other stores located in Belrose and Mt Colah, NSW. Located in Brookvale, in the Northern Beaches area of Sydney. This is your one stop shop for everything that you will ever need for you garden. From plants to potting mix, pots to pavers we have everything that you need to get your garden looking great no matter what season it is. 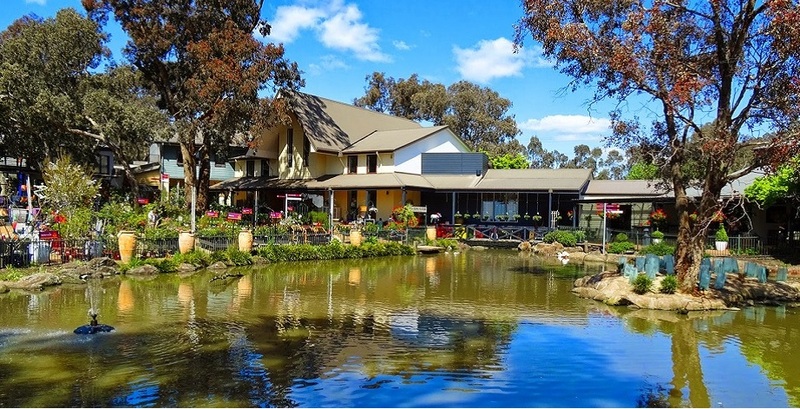 We’re located in the Queanbeyan region of NSW, off the Kings Highway near Lake George, the Molonglo River Valley and the Australian Capital Territory border. Our business services both produce and horticultural needs, with plans afoot to dramatically expand our garden centre area in 2017. Tuesday - Saturday: 9am - 5pm, Sunday 10am - 4pm, closed Mondays (except public holidays). Our store at Kincumber (on the NSW Central Coast) is a family owned and operated business with 40+ years of horticultural experience. For expert advice and service on all of your gardening needs, our team can help you. We also stock quality plants from our own production nursery, as well as a beautiful range of homewares and giftwares. 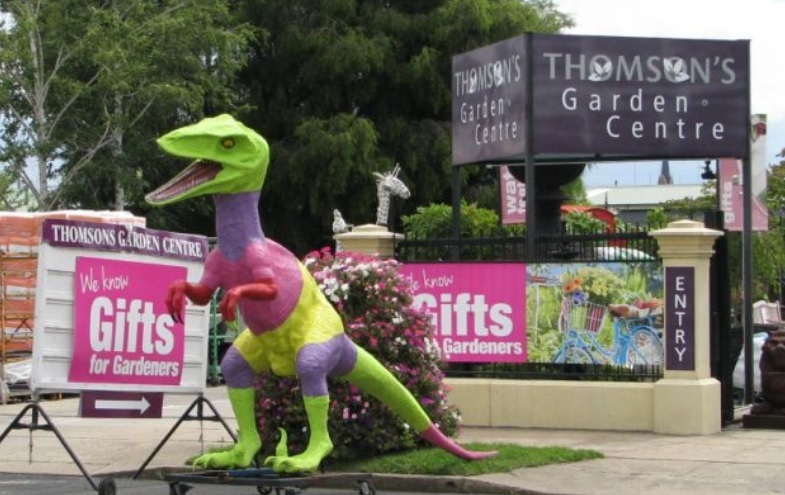 Thomson’s Garden Centre has a rich history of selling Garden nursery supplies to the Central West for over 30 years. In this time the business has grown into a leader in it’s field supplying unbeatable prices on a massive product range with everything you can imagine. We import our massive range of Pots from Australia’s largest importer Pots Wholesale Direct supplying you the lowest prices in Australia with the best range. Encompassing an acre in the heart of Orange, Thomson’s nursery has thousands of trees and roses arriving regularly, ready for keen gardens to get digging in their patch as the months warm up, assisted by delivery to regional and rural areas. We at Thomson’s are known for our extensive selection of water features, both large and small, which add a dramatic feature to any outdoor space. Not to mention the plethora of garden accessories such as pots, statues, metal garden arches and smaller garden lower gift ideas like books, gumboots, gloves, tools and garden furniture that fill the spacious gift shop. In this time Thomson’s Garden Centre has employed industry certified staff with an unbeatable knowledge on our products and best practices across the Garden world which can answer any questions you may have. Our staff are trained on how to best identify a customers needs and provide them the cheapest and most suitable product that will leave customers satisfied and coming back. So if you are after a Garden Centre that has the biggest range, lowest prices and best product knowledge than come in or call us today. Refer to 'Latest News' section on our website for Public Holiday hours. At Hertiage Nursery Yarralumla, we encourage sustainable gardening practices by stocking Organic sprays and fertilisers, physical pest barriers, and integrated pest management products. Whether you are a brand new gardener, or have been gardening for a lifetime, there is always something new to learn, some wisdom to share and a few stories to tell. As we all share a love of Gardening and the Environment we aim to assist our Gardening friends in every way possible. 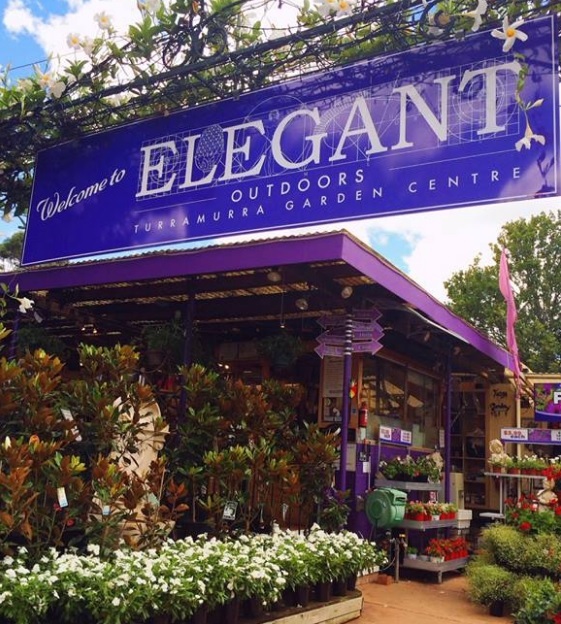 We are an Award-winning garden centre located on Sydney’s north shore. Come and visit us today for expert advice, top quality plants and giftware. We are proud to be affiliated with a number of garden clubs & organisations & we feel very strongly about getting involved with our local community through many of the local charities, schools & social clubs. Brennan’s Mitre 10 provides Dubbo and surrounding suburbs and towns with superior service with expert knowledge in all aspects of gardening and hardware. We cover a wide variety of fresh, local weather tolerant greenlife with seedlings and potted colour being our main focus. Along with our 2 qualified horticulturists who love home gardening, our team is well positioned to help you with your home gardening and maintenance, plus help you with ideas including garden planning and layout designs right through to plant selection and plant care advice. We carry a large range of complimentary products like quality grade fertilisers, potting mixes and chemicals plus a wide range of hardware including gardening tools, watering accessories and even outdoor furniture. We carry water features and fountains (which are great for attracting birds), and garden ornaments that will look beautiful around your garden, in pots, or on your veranda, deck, or patio. Brennan’s is a household name in Dubbo with a landmark building opposite the Macquarie River and the Dubbo Visitors Centre. 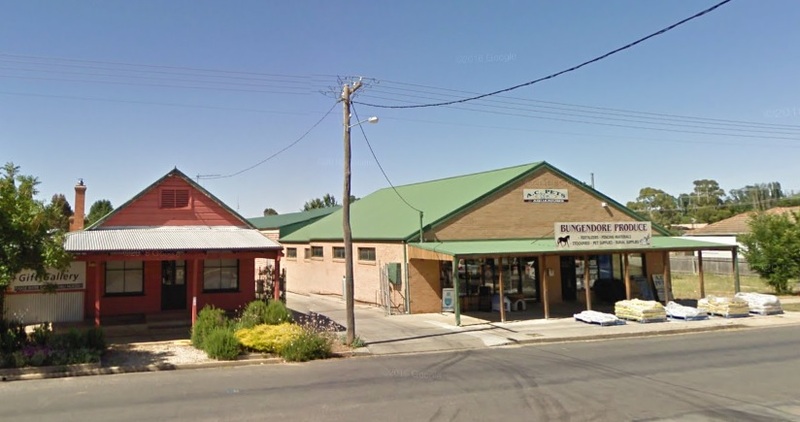 We are a third generation local family retailer founded by Bill Brennan about 80 years ago when the business commenced as a hardware merchant in Cobar. 40 years later the operation opened in Dubbo by Bill’s son Frank and now is overseen by his son Michael. The business employs in excess of 40 staff and is totally committed to providing our customers with a wide range of gardening and hardware options. We’re locals just like you, so please visit us and we’ll provide you the best help and advice in a clean, tidy and convenient location and while you are here you can treat yourself and the kids with a wide range of cold drinks, confectionary and ice creams. If you haven’t visited us before, come in and try the Brennan’s experience and find out why our other customers keep coming back again and again. Bushlands is a retail garden centre servicing all areas of the Central Coast. Come and browse the huge range of homewares, gifts and plants! We offer a complete range of garden supplies for Bathurst and surrounding areas. Don’t waste your time anywhere else. Only at Churches Garden Centre will you find expert advice and great service on all of your garden needs. 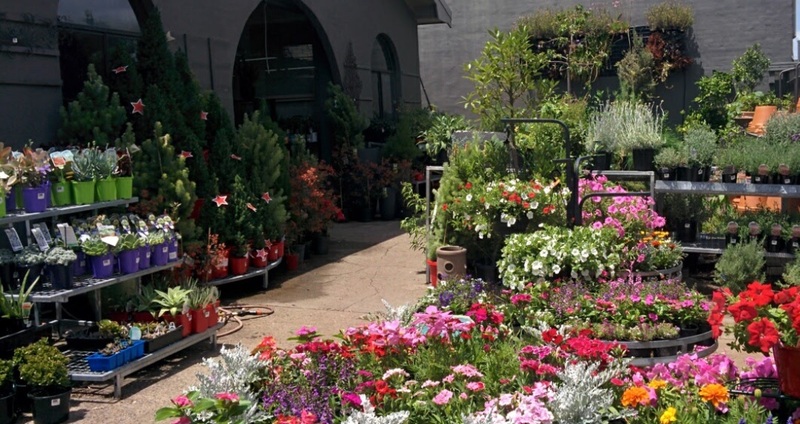 At Country Elegance Garden & Gifts, you will find a vast plant area with landscaped gardens, a dedicated garden care department with everything from mulches, fertilisers and chemicals. We also stock tools and hanging baskets too, with a variety of herbs, seedlings, trees, shrubs, roses and garden ornaments. We even have our own on-site florist. Our helpful staff are on hand to provide you with expert advice and useful handy hints and tips to cater for every corner of your garden. 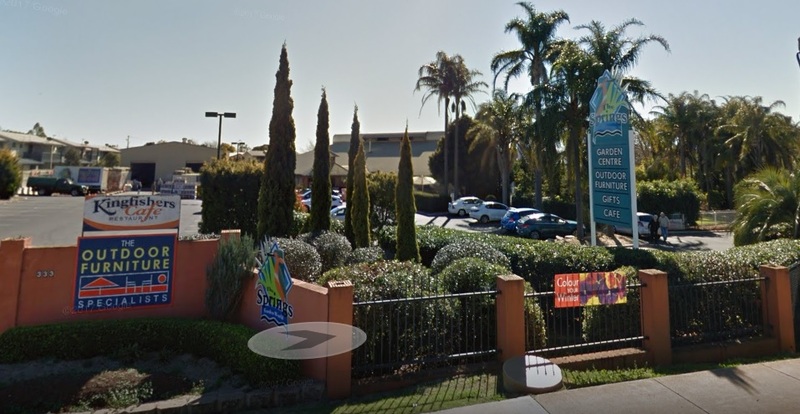 Country Elegance Garden & Gifts has been established since 1999, was a finalist in the Nursery & Garden Industry of Australia’s 2013 Best Garden Centre (Retail) awards. We now have an impressive gift area incorporating other items for your outdoor space which includes metal statues, owls, pigs, cows, a variety of wall art, bird baths, outdoor mirrors, and other bits and pieces we are sure you will find pleasing and interesting. And we haven’t forgotten the kids! We have fairy statues, ornamental mushrooms, butterfly nets, and a range of aquarium kits like T-Rex Attack, Aqua Fairy, Aqua Princess & Space Monster (accessories included). If you own a holiday home in Dungog, we can relieve you of any additional weekend chores. We will make sure your garden looks great even when you are not there and when you are, you will have more time to enjoy it. If you are selling your home, a garden make over or tidy up that is tailored to your budget will make your home even more appealing to a potential buyer. Remember, most homebuyers make up their minds about buying a new home when they first see the property from the street. An appealing garden that looks ‘cared for’ can boost the selling potential of your property immensely. There is nothing Country Elegance Garden & Gifts can’t help you with when it comes to caring and maintaining your garden and plants. And if you want beautiful hedges, we’ll have Paul or Patrick having them looking fabulous in no time. Spraying and everything else to do with gardening, Country Elegance has the experience, skills, and the tools to provide you with what you want, and if you are in search of inspiration and ideas, please visit our garden centre and experience our country elegance – it will captivate you! 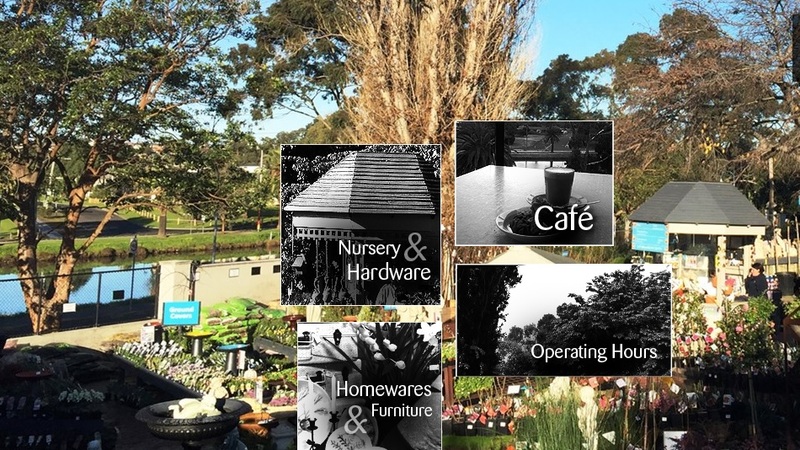 Four Seasons Nursery & Garden Centre, located in Belrose in the Northern Beaches area of Sydney, is your one stop shop for everything that you will ever need for you garden. From plants to potting mix, pots to pavers we have everything that you need to get your garden looking great no matter what season it is. Open Most Public Holidays (Excluding Christmas Day, New Years Day, Easter Sunday, Good Friday & ANZAC day). Located on Sydney’s North Shore we are right off the M1/F3 exit at Mount Colah. We stock a large range of plants, pots, gifts, chemicals and fertiliser so we are sure to have what you need. Catering to the weekend gardener or the landscape specialist, we have what you need to get the job done right. At Gardenworld Nursery you’ll find a huge range of plants including seedlings and tubes. There is also a huge range of food crops including fruit trees, berries and grapevines. Deliveries can be arranged anywhere in Melbourne. Visit us today. We offer a complete range of garden supplies, and, we are happy to help with advice and assistance on all of your garden needs. There’s a good reason why we have been servicing the local area for over 18 years, and that’s because we provide the best service with expert advice more than any other nursery. With our large unique range of plants and giftware, you won’t need to shop anywhere else. Honeysuckle is a family owned business that has been running in the Sydney region for almost 40 years. Our aim has always been, and will continue to be to provide the highest possible level of service and quality plants. As we continue to grow we aim to uphold the high standards that have made our Bondi Junction store a Garden Centre of Excellence, a qualification have now achieved at our new Mosman store, being awarded NGIA’s 2016 Best Large Garden Centre of the Year in NSW AND being awarded the National Best Retail Nursery Award 2016! Open every day throughout the year except Christmas day! Pinewood Nursery established since 1960 is located in Glen Waverley and offers a large off street car park for your convenience. We have a team of qualified staff leady by Craig and Leonard who between them have a combined 65 year employment history with Pinewood Nursery. This nursery is a constant source of unusual and hard to find plants and our buyers are meticulous in maintaining the quality that Poyntons are renowned for. Whether you are looking for a particular plant, professional advise or simply some inspiration, venture in, you won’t be disappointed. Enjoy a meal or maybe coffee in our A La Carte cafe situated high on the hill with views of the city skyline. The Boulevard Cafe also has an extensive wine list for your enjoyment, with all wines available to purchase for that special gift or occasion. We are a landmark award winning destination centre, known locally and regionally for our truly unique offer. At Rivers we are a Café, Fashion, Home & Gift Shop, Day Spa, Garden Centre, Function & Event Venue, Hair & Beauty Salon, Conference Destination and Health & Wellbeing Centre. Our family owned and operated business has been established and growing since 1981 and is located in a gorgeous rural and lake side setting. Make it your place, your space and your experience by coming for yourself or bringing your friends and family. Visit us today, we’re the only garden centre in the area that can provide you with all of your gardening needs. We also have an extensive range of gift and home wares for both inside and outside, with a focus on French home décor and outside furnishings. No matter what time of the day, Le Jardin, our on-site café, caters for mornings, lunch, and afternoon teas. In our gorgeous sun filled deck that has wonderful views of the nursery, you can choose from early morning cups of tea, through to our selection of made to order lunches, homemade cakes, daily specials and locally roasted premium coffee by qualified barista’s. Our garden centre provides excellent advice and service from our friendly and experienced staff. You will find a wide range of edible garden plants, Australian Natives, beautiful cottage garden plants, potting mixes, manures, mulches, pots, fertilisers, pretty colour plants seedlings, herbs and garden care products. You may also like to receive additional loyalty benefits and catalogue specials, by joining many thousands of other customers in our popular Garden Club. Off-street parking (right next to North Rocks BP Service Station) and staff to help load your vehicle with heavy or larger items will hopefully make your life a little easier. No time or energy to landscape or care for your garden? Our staff also undertake quality, professional, garden maintenance for many of our customers. This includes, weeding, hedging, fertilising, planting, mulching, lawn care, paving, retaining walls, garden beds, spraying and pruning. Located in the Heart of Campbelltown for over 26 years, Tim’s has won Best large Garden Centre in Australia 3 times! Tim’s Garden Centre in Campbelltown has 5 qualified horticulturists and most have over 20 years’ experience in the nursery industry. The team at Tim’s know how to fix sick plants and they will give you advice on the safest products to use so you don’t poison your family. Simply bring a sample of your sick plant and Tim’s horticulturists will give you the right medicine. Tim’s horticulturists are that good that they can also identify plants from a cutting. Tim’s offers a complete home service package that includes lawn mowing, cutting your edges, pruning, planting & weeding. Tim’s team of horticulturalists are flexible to meet your needs and budget. Tim’s Garden Centre also supplies landscaping products including Tim’s Top Dressing, Tim’s Magic Mix. Visit Tim’s website for more details at timsgardencentre.com.au. 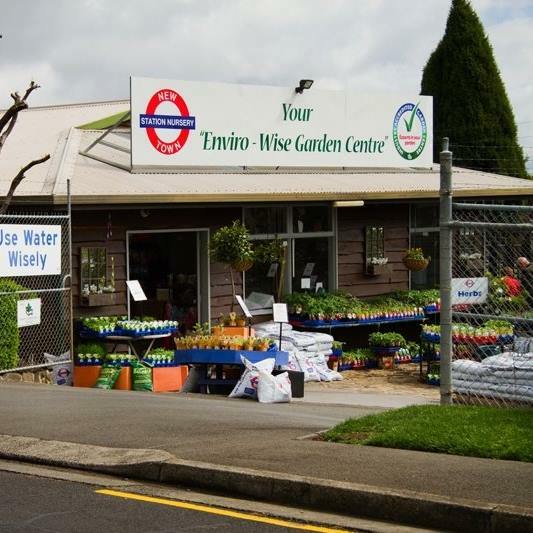 You can’t find a better garden centre in Sydney’s south-west than Tim’s Garden Centre. Total Gardens is a unique garden centre with more versatility in plants than you’ll find anywhere in the Coffs Harbour region! We have won the ‘Best Small Garden Centre NSW’ category three times (judged and awarded by The Nursery & Garden Industry of Australia). We are open 7 days a week (Monday to Friday 7:30am to 5pm & Saturday & Sunday 9am to 4pm). We can source that special or hard to find plant or garden related item you may be wanting, and we also offer a wide range of landscaping supplies with a very competitive delivery service. Total Gardens is a distributor of Oases and Clearpond water features, pond pumps, ponds and other accessories. Our giftware shop offers fantastic ornaments for sale including the much loved frogs, lizards and solar powered butterflies. The Munakuppi Hair Grow Kits were also a popular choice from the shop and are a great idea for gifts, and it encourages kids to care for a pant that is healthy for them to eat too. 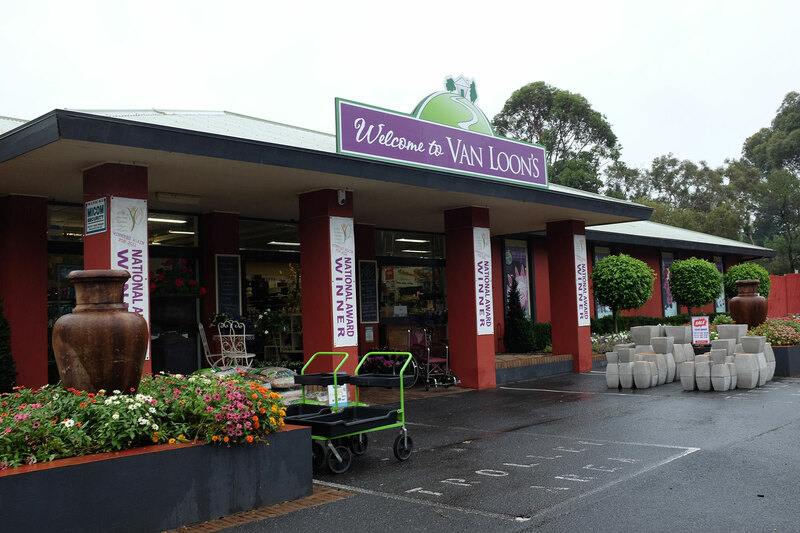 Van Loon’s Nursery is a destination garden centre situated on the busy and picturesque Bellarine Peninsula. Established in 1965 it has been providing top quality plants, seedlings and garden care products along with professional gardening advice to generations of gardeners. 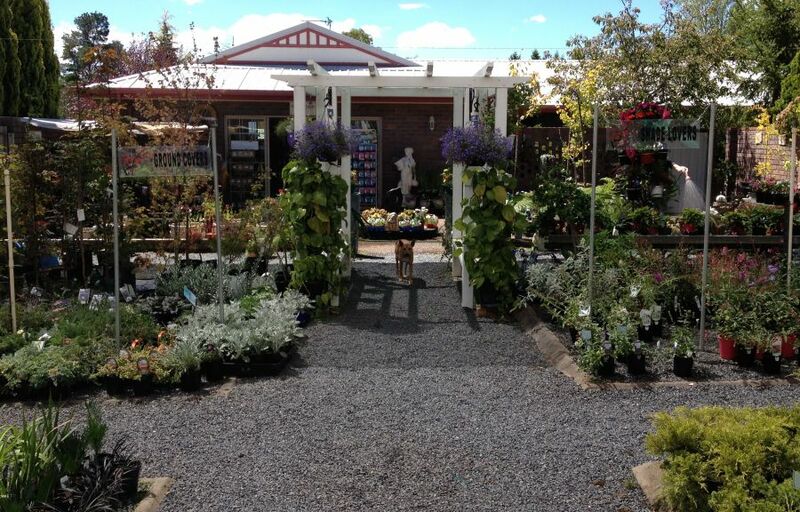 Weber’s is a retail and wholesale nursery and landscape yard with a café. We offer a complete range cold climate plants including trees, shrubs, natives, exotics, fertilizers, chemicals and affiliated products plus a huge selection of garden supplies, including bulk landscape materials. Enjoy a relaxing walk in this beautiful garden centre and chat with friends in our cafe. We’re the best in the Blue Mountains with expert advice and great service. SIGN UP TO OUR E-NEWSLETTER TO GET THE LATEST OFFERS, PRODUCTS AND TIPS!